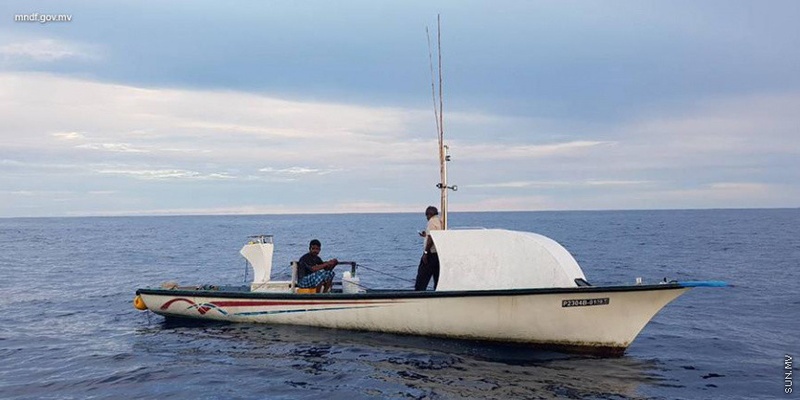 Maldives National Defense Force (MDF) has lent its assistance to a small fishing boat left stranded due to engine trouble. The boat ‘Anfaal’ was out on a fishing trip six nautical miles outside the Hithadhoo Koattey region in Addu City when its engine stopped. MNDF says the boat reached out for assistance at 3:45 am this Monday morning. The boat was provided assistance by the Southern Area Coastguard Squadron of the MNDF. MNDF says the engine of the boat stopped working because a screw on its starting motor snapped off. There were four people onboard when the incident took place, all of whom are unharmed. MNDF says the owner of the ‘Anfaal’ is arranging for a boat to tow it out.